There was a time when garage doors used to be operated manually. Now as technology has progressed and our needs have evolved, high-end tech has become easily available to everyone these days. We’ve got remote-controlled openers, motion sensing door openers and other high-end systems that have modernized the garage door network and befit the demands of the consumers in Mesa, AZ. As these small but necessary changes have made themselves into the everyday lives of the people in Mesa, AZ, it has made their lives more comfortable, worriless and far more safe. However, no matter how progressive the technology gets, mechanical systems are not exempt from failure. This is why; you must opt for United Garage Doors to get garage door openers fixed or changed with new and better ones. United Garage Doors offers a large assortment of garage door openers that are robust, durable, sturdy and powerful and don’t make noise during operation. All our products match up to the standards of the industry and we ensure that they fall well within your budget. And along with the many benefits that they offer, our door openers do not ask for more than minimal inspection checks as we provide only the best of products bought from top brands. While the simple push of a button to open/close may seem like the easiest thing, there are ways to make the garage door operation a lot easier. Our expert garage door technicians can set and replace your garage door openers with high-tech ones that are designed to merge in with your house automation systems. We also have openers that provide keyless entry and come equipped with remote control systems which not only enhance your security but also offer outstanding ease-of-use. Once you choose an appropriate garage door opener, United Garage Doors’s team will get it ready and install it. We then follow it with some quality checks to ensure that the setup operates seamlessly. 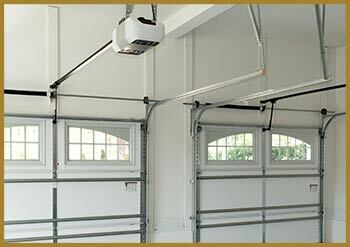 After the installation of a garage door opener, we also keep provide checkups to keep everything in order. 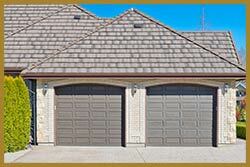 Choose us for premium garage door openers!